You may also call 513-474-0005 option 3 but this is voicemail only. Found a dog with a microchip tag but no other ID? Call the phone number on the tag, or call or email one of the microchip company numbers below. Any microchipped animal lost or found (with a microchip) can be reported lost or called in found to check owner info at any microchip company. These are the 2 companies we use most often for our microchipping. Found a lost dog with a dog license tag but no other ID? Call Dusty’s Dogs, 513.946.DOGS (513.946.3647). Dusty’s Dogs is the 24-hour hotline that provides the name, address and telephone number of the dog’s owner so you can return the pet to his family. If you have lost/found a dog that doesn’t have tags you can take them to any vet (or to our Peppermint Pig Thrift and Gift Store during store hours- Tuesday– Friday 11-4:30 or Saturday 12-4) to be scanned for a microchip. 1. Call your local county animal shelter immediately, report your pet as lost and give an accurate description of your pet. or to PawBoost Lost and Found Pets (this will send an alert to all area veterinarian offices and utilizes social media to get the word out about your pet). 3. Go to the animal shelter and look for yourself. Only you know your pet. Take pictures if you can to show others what your pet looks like. 4. Post signs in your neighborhood and local stores. Describe your pet and put a picture of it on the sign if possible. Leave your phone number, too, so people can call you if they find your pet. 5. Place an ad in the newspaper. The more people who know your pet is missing, the better chance you have of finding it. 6. Keep checking at your local shelter and other shelters in the area. Call or visit at least every three days. Microchipping gives you that extra safeguard that can help animals to be returned to their homes safely even if they lose their collar or other tags (ID, Rabies, License). 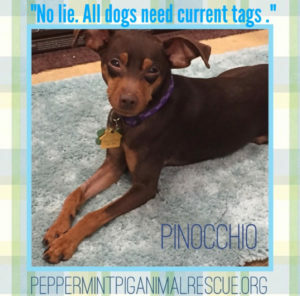 All animals adopted though Peppermint Pig Animal Rescue come with a lifetime microchip. Microchipped animals can be identified at any Animal Shelter or local veterinarian’s office. You are also welcome to bring any found pets into our Peppermint Pig Thrift and Gift store during regular business hours (Tuesday– Friday 11-4:30 and Saturday 12-4) and we’ll be happy to scan the animal for a microchip. Returning lost pets to their owners is easiest if dogs wear the required county license and city tags and also a rabies tag. 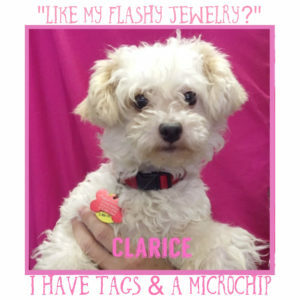 It’s also highly recommended that your dog wear an identification tag with your name, address and phone number. Be sure to keep the collar on your dog at all times. Cats can wear an I.D. tag and some cities require a license. As a pet parent, you spend plenty of time making sure your dog is healthy and safe. You walk him or her daily, feed it nutritious food, and take them to the vet when something seems “off”. You’ve equipped your pet with the best, most modern, digital pet ID tag and microchipped them. However, many pet owners forget, or ignore, something vital – licensing their pet. A pet license is yet another way to make sure your pet is protected if they become lost. If you’ve been putting off licensing your pet because you think it’s too expensive, or doesn’t provide any benefits, this article is for you. Here are six reasons why you should license your pet. 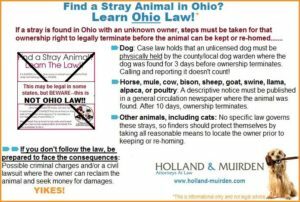 It’s actually required that dog owners license their pets in the state of Ohio. You could be asked to show your dog’s license while you’re out for a walk, and if you don’t have one, you’re looking at a decent-sized fine. You’ll get a tag that serves as the dog’s license, so it should be on their collar at all times. For example, in Clermont County, not having a license or not renewing it will cost you around $120. So don’t “harbor a fugitive” – learn your local pet licensing laws and follow them. In some communities, your pet’s license means a free trip home if they’re found by local animal control. Without a license, it might mean an expensive overnight stay at the municipal animal shelter. Licensed dogs are kept longer at shelters, and are less likely to be euthanized than unlicensed dogs are. If for some reason the shelter is having a hard time getting ahold of you, the shelter is more likely to be patient and keep trying. In Clermont County, it’s only $16 a year to license your dog. That’s not much too pay to ensure the safety of your dog in the future. You likely don’t even have to go in person to register your pet. For many municipalities, you can do it online or mail the form in if you’re busy. Go online and Google “pet licensing” for your municipality and you’ll see the different ways you can obtain a license from them. There’s really no excuse not to license your pet. If you’re still having a hard time coughing up the cash for the yearly fee, know that many of the local animal shelters are benefiting from it. They use the money to maintain the facility and feed the lost dogs. It keeps them up and running, and provides support for animal control officers. This should put you at ease knowing that if your dog ever ends up in a shelter, it’s in good hands until you get there. Here at Peppermint Pig Animal Rescue, we don’t think there is such a thing as too much protection. The more forms of identification you can arm your pet with, and the more ways you can be contacted, the greater the chance that your pet will make it home quickly if lost. Also, remember that you are just not helping your own pet –by purchasing a license, you are helping to protect all pets in your community. Now that you know the reasons why getting a license is so important, where do you go to get one? The good news is the process of getting a dog license is actually quite simple! The best place to start is by contacting your local town or city government to see if licensing is required and how to start the process. Sometimes you can file for a license online, or you might just have a simple form to fill out at your local city hall. In most cases, you will need to provide proof of a recent rabies vaccination as well as a spay or neuter certificate. The cost will vary based on your town, city or county, but the fee can range from $15 to $60. For animals who have been spayed or neutered, a discount often applies. Remember, your license must be renewed yearly with an up-to-date rabies vaccination. If your dog gets lost, call the Hamilton County Dog Warden at 513.541.6100. If they you find a lost dog wearing a current Hamilton County License, call Dusty’s Dogs, 513.946.DOGS(513.946.3647). Dusty’s Dogs is the 24-hour hotline that provides the name, address and telephone number of the dog’s owner so you can return the pet to his family. 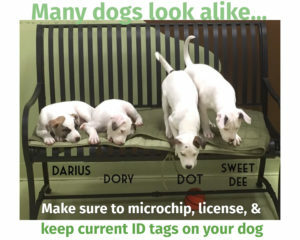 If you find a lost dog that is not wearing a current license tag, call the dog warden at 513.541.6100. If you have found a stray animal, s/he should be taken to the shelter closest to the location where the animal was found. This will increase the likelihood that the animal will be reunited with its guardian and safely returned home. If you can′t find a shelter listed, you should call information and see if there is a humane society or SPCA in your area. If that doesn′t work, the best bet is to call the local police or sheriff department and ask where they take stray animals. Often it will be your local shelter and they should be able to provide contact information.